I know it’s very self-indulgent to call one’s own recipe ‘the best [insert name of meal] ever’, let alone ‘the best thing you have ever eaten and ever shall eat, end of’, but… This really is the best thing you’ve ever eaten or ever shall eat. End of. I’ve tried making vegan tiramisu once before, using tofu as a substitute for mascarpone, but the result was utterly disappointing. It had none of the luscious creaminess of that ex-favourite Italian cheese; instead my tofu ‘mascarpone’ was grainy, hadn’t blended well at all, in fact, and it just tasted of tofu. I would never eat that again, and if it’s not good enough for me, it certainly isn’t good enough for my guests. But this… there were no guests to share this delight with because I couldn’t bear sharing even one teacup of this heavenly dessert with anyone. I kept it all to myself. And you will too. I used Bourbon biscuits (aka the new love of my life) because I couldn’t find any dairy or egg-free ladyfingers in my local supermarket and was not at all feeling inclined to traipse all around London hunting down ladyfingers. I got sh*t to do, y’know. And then that not-so-little packet of cheap-as-chips Bourbon biscuits was ogling me from a lower shelf in the biscuit isle, crying “me me me, pick me, pick me!’ How could I resist? 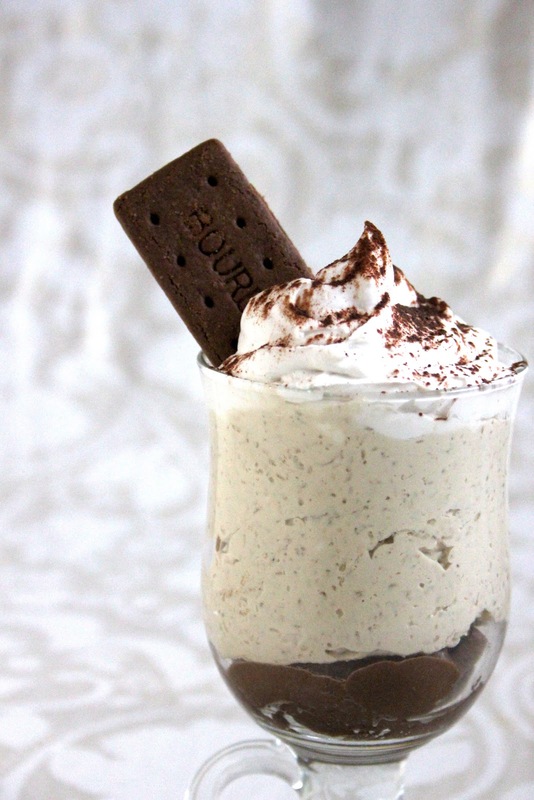 I’m not sure I would ever make tiramisu with ladyfingers again after creating this. The deep chocolotey creaminess, soaked in extra strong coffee, is a match made in heaven. A party on your tongue that will leave you smiling for the rest of the day. Walnuts blended with coconut cream create a layer softer than a cloud, better than mascarpone (oh yes, I said it!). 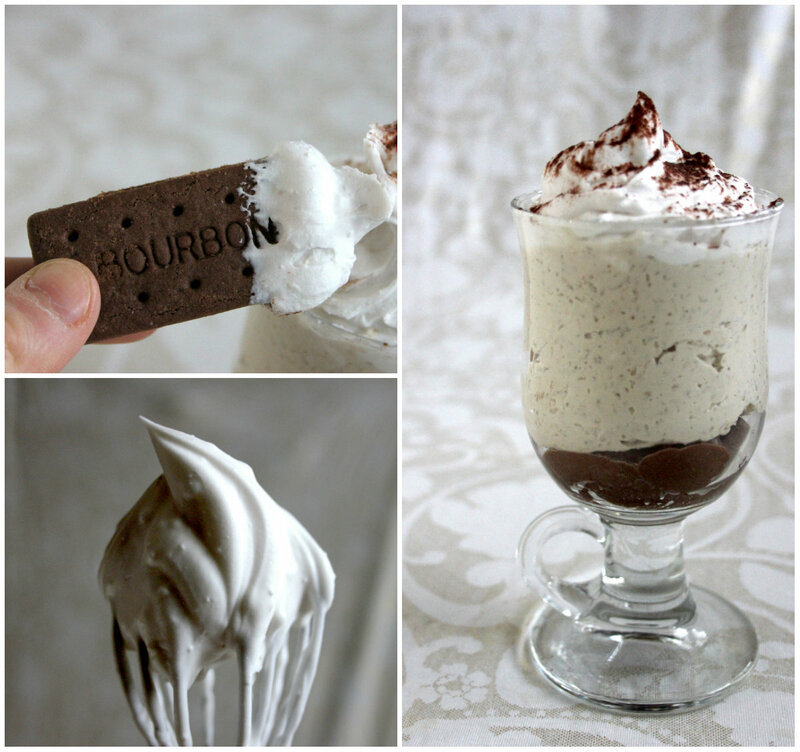 Dip in a cheeky Bourbon and lick the coconut whipped cream off it, dunking the biscuits as if in a cup of hot cocoa. It just doesn’t get better than this. If you do feel so generous to share this dessert, it would make the perfect ending to a decadent Italian feast. 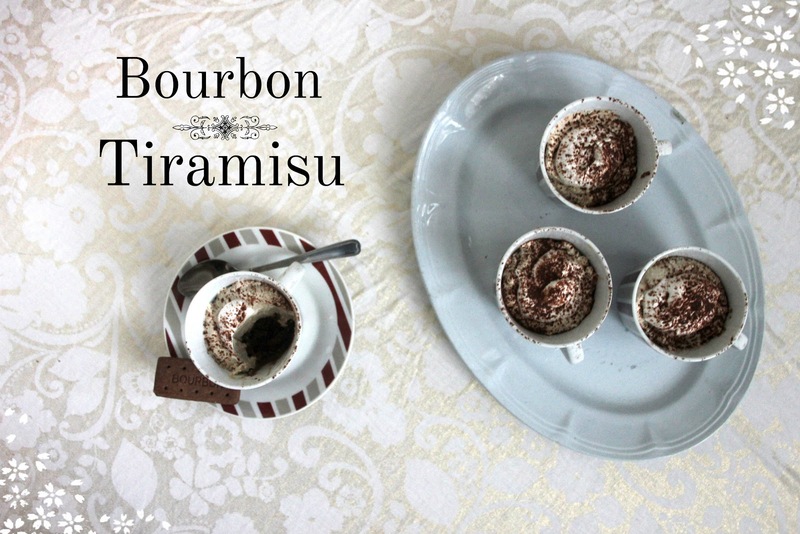 Serve in teacups with a biscuits and whipped cream dusted with cocoa powder for extra va va voom. Your guests will adore you forever. No baking required, you can make this recipe in 20 minutes flat. Over-stressed party host? Not you, baby. You can glide serenely into the room and smile smugly when your guests’ jaws drop, wiggle your eyebrows when they ask you how you did it, and pretend you slaved away all day whilst still looking radiant and relaxed. 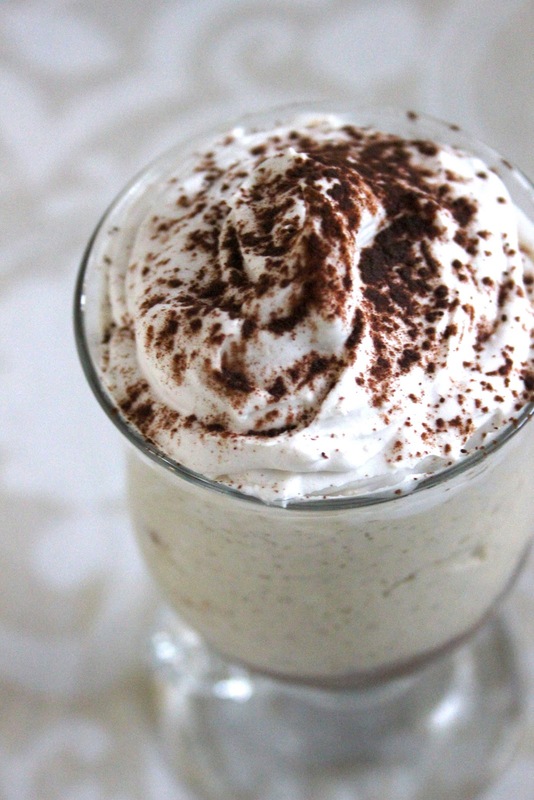 In a high-speed blender or food processor, blitz the walnuts, water, stevia and Kahlua until you obtain a smooth cream. 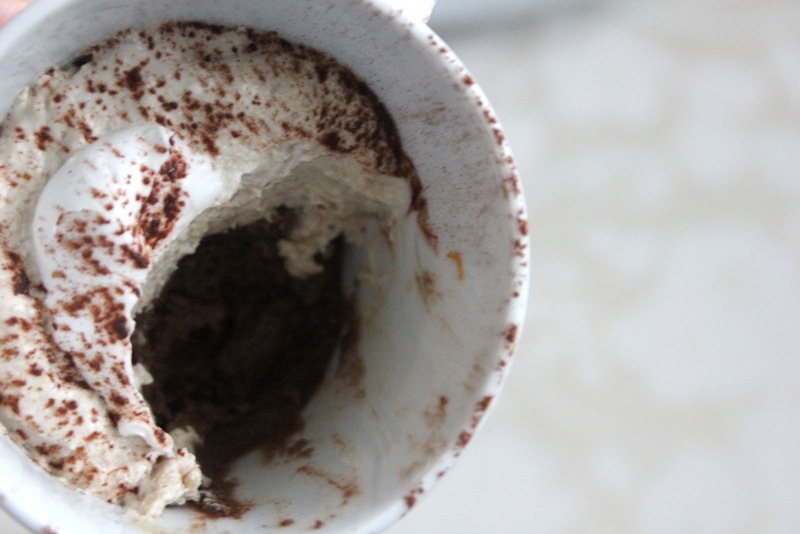 Pour a little of the coffee into a shallow dish or hollow plate. 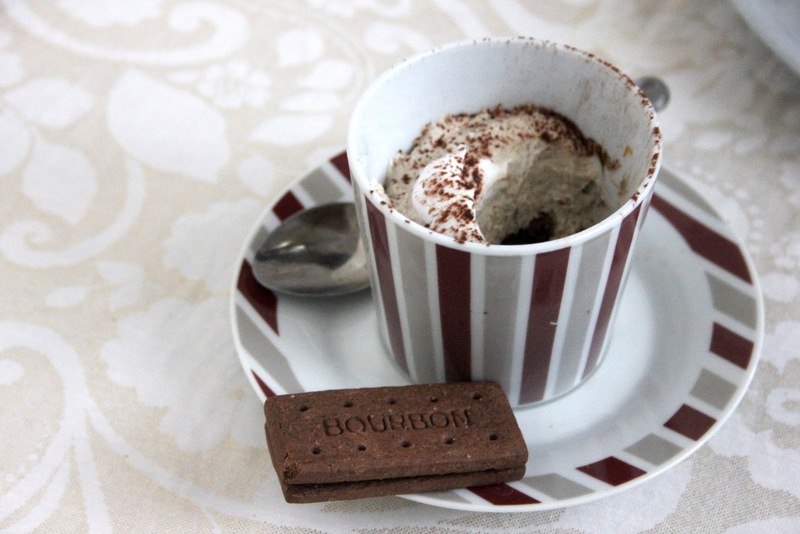 Soak the Bourbon biscuits in the coffee until you run out of biscuits and coffee. Scoop this biscuit puree into the bottom of six cups or glasses. 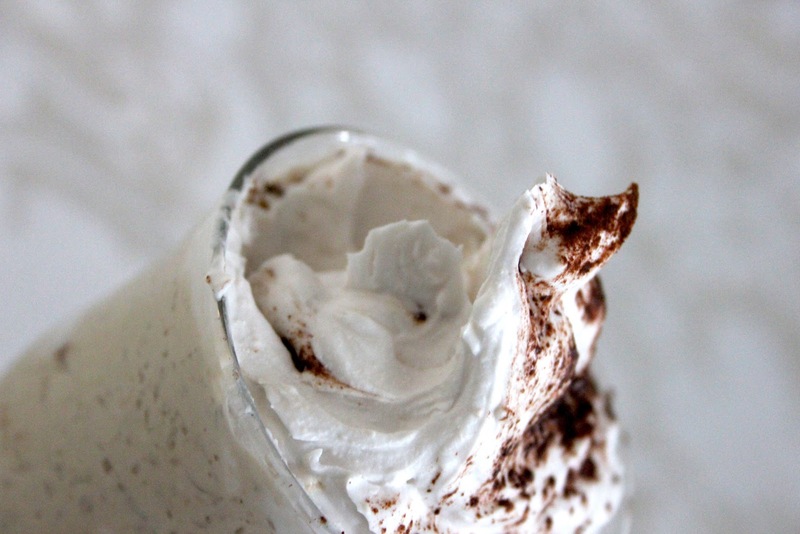 Mix half of the coconut whipped cream with the walnut cream. Spoon this into the cups or glasses. Top with the rest of the whipped cream and dust with cocoa powder. Leave in the fridge to set overnight. * I used Kahlua instead of Marsala because I just adore its coffee flavour. It goes fabulously with the Bourbon biscuits. But do use Marsala if you prefer. 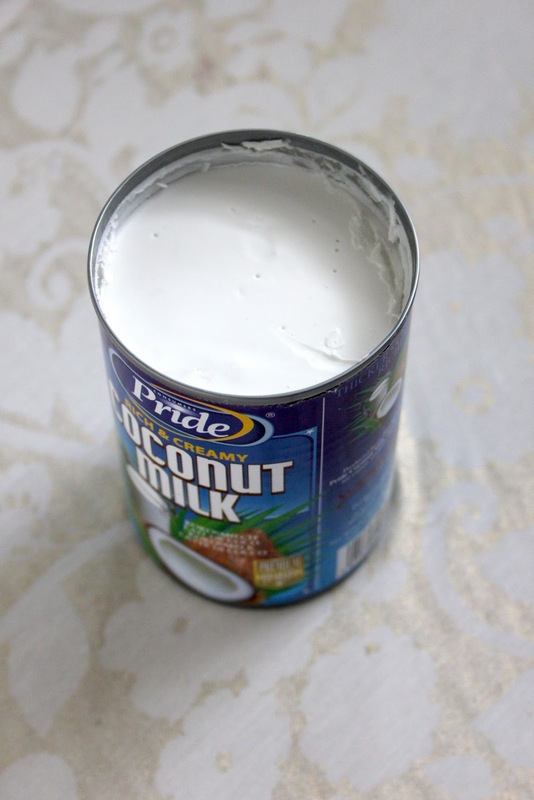 * SunPride is the BEST coconut milk I have found so far. 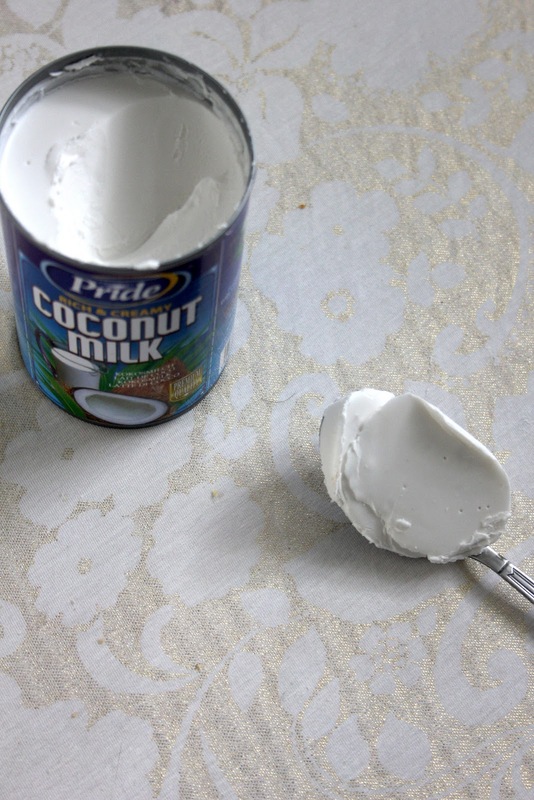 When left overnight in the fridge, the contents of the entire can actually turn to solid coconut cream. There’s that much fat in this milk. If you’re worrying about your calorie intake at this point, you might as well close this page. This one is not for the faint-hearted or the dieters. 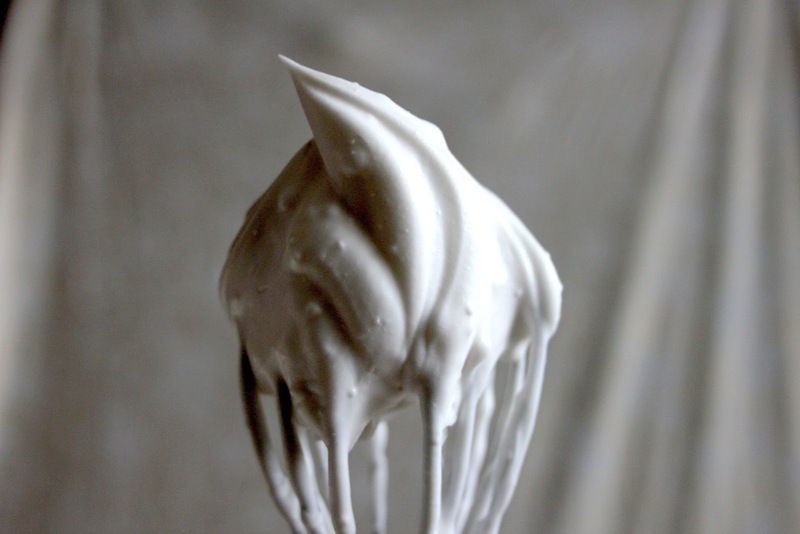 You need a good thick coconut milk to make cream thick enough for whipping. It also means the tiramisu will set well. * If you don’t have any stevia powder, you can just use regular brown sugar. Maybe extra fine brown sugar, if you don’t like feeling little grains crunching underneath your teeth. I think I’m falling in love with Italy. I dream of going there and eating luscious pizzas day in, day out (minus the cheese… soupir.) Where is your dream foodie destination? Are you serious?? This recipe looks AMAZING!!! 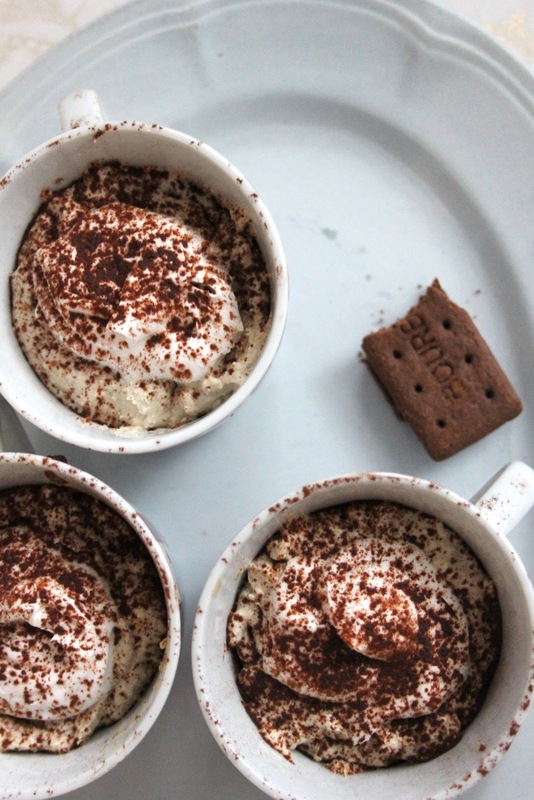 I don't think I ever would have imagined making a vegan tiramisu but this looks SO GOOD. And the chocolate biscuits are brilliant. I can't wait to make this!!! This looks so friggin' good! Seriously! And the photos are gorgeous! 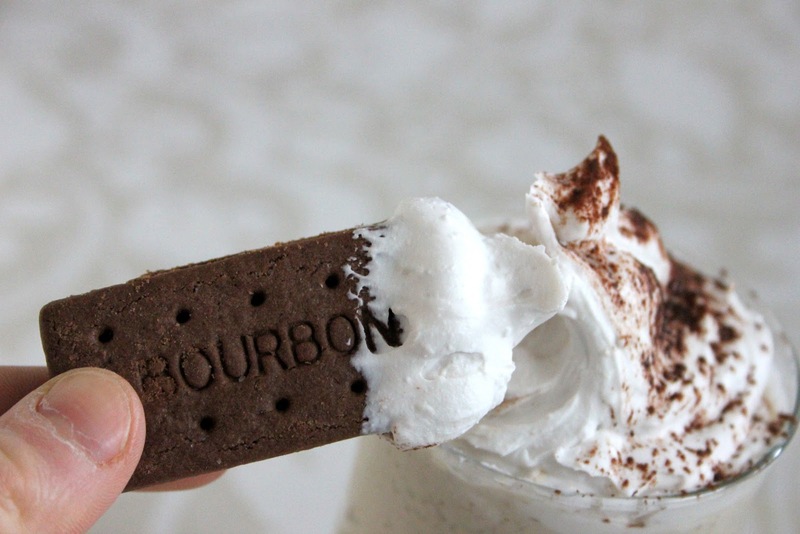 Do you have any ideas for a bourbon cookie substitute? I tried to find a store that might carry it in the US but it doesn't seem available here. Hm, I'd forgotten Bourbon biscuits are kind of a British thing. They do taste (to me, at least) kind of like oreos but with a chocolate filling in the middle. So anything similar would do; it just needs a creamy chocolate filling, and have that double baked, crumbly cookie texture to it. Biscuits in the UK and the US aren't the same thing at all: biscuits aren't crackers but they're not really cookies, either. Thanks. I will give it a try with oreos – maybe I can even find a vegan chocolate filled one! When I look up the ingredients for these biscuits online, they contain milk solids, which is not vegan. Am I receiving the wrong information? It will depend on the brand – you may need to check a few different ones. I like the Tesco Bourbon Creams. ALWAYS read the ingredients label before purchasing anything. It's become a habit for me over the past two years since becoming vegan. I just always make sure. The ingredients for a similar biscuit will vary from brand to brand. 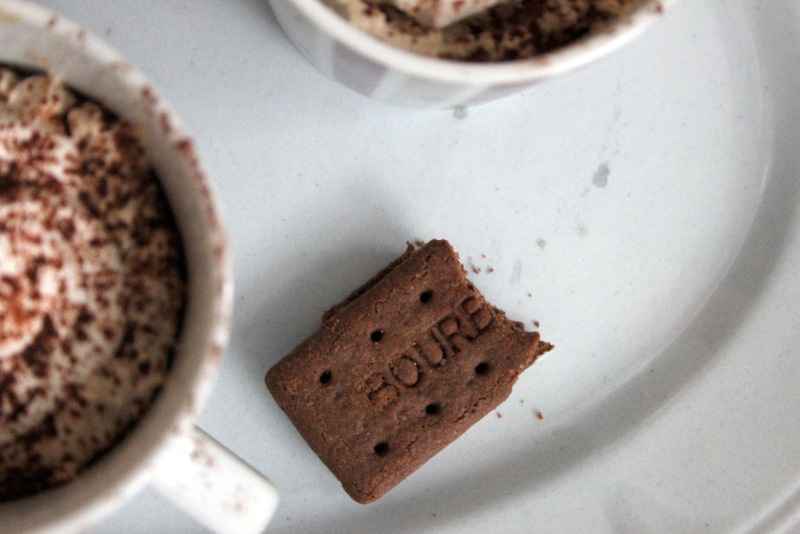 You can order Bourbon biscuits online (try Amazon). We might not be able to get Pride coconut milk, but we have Thai coconut milk in most supermarkets—if not, try Amazon. Also, (Paul) Newman makes a better-than-Oreo non-chemical vegan sandwich cookie. This recipe sounds brilliant. Thank you for posting it. I'm so excited to try this! I'm not a fan of stevia, though, because it tastes bitter to me. Does the sweetness of the Kahlúa mask the bitterness of the stevia? I don't find stevia bitter at all (in fact I use it in most of my baking and cooking now!) but if it bothers you, you can always try using regular sugar (caster sugar would work fine with this). 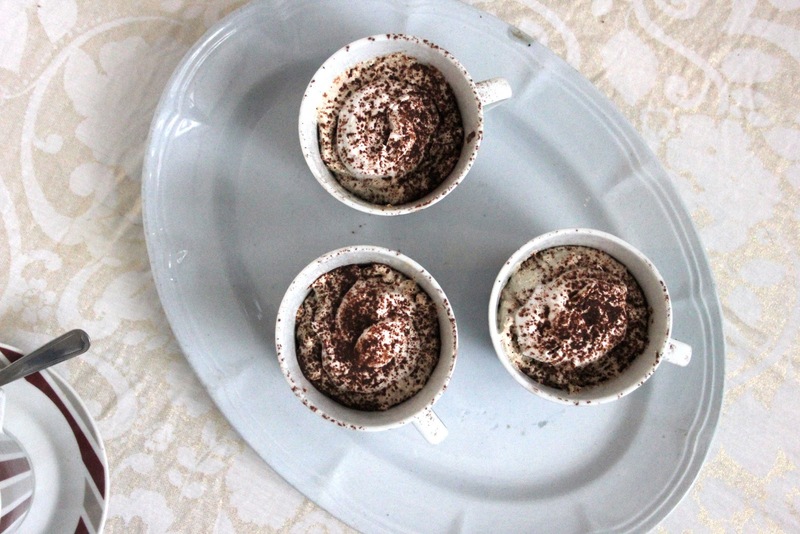 I prefer brown sugar or unrefined sugar, but you might that makes rather grainy tiramisus. Agave syrup or brown rice syrup might be nice, too; just make sure to adjust the amount of water in the recipe and taste as you go to make sure it's all according to your preferences. But I would say the Kahlua alone will mask the flavour of stevia enough that it wouldn't bother you. Made it. The children devoured it. I ended up using vanilla wafers to see if I could capture the soaked ladyfinger affect more closely (admittedly i used non-vegan wafers since I'm not vegan, but I imagine there is a vegan option out there!) Will try with the chocolate ones next time. Any tips on getting the walnuts to blend even smoother (other than the fact that I need to buy a better blender than the cheap one that I have)? 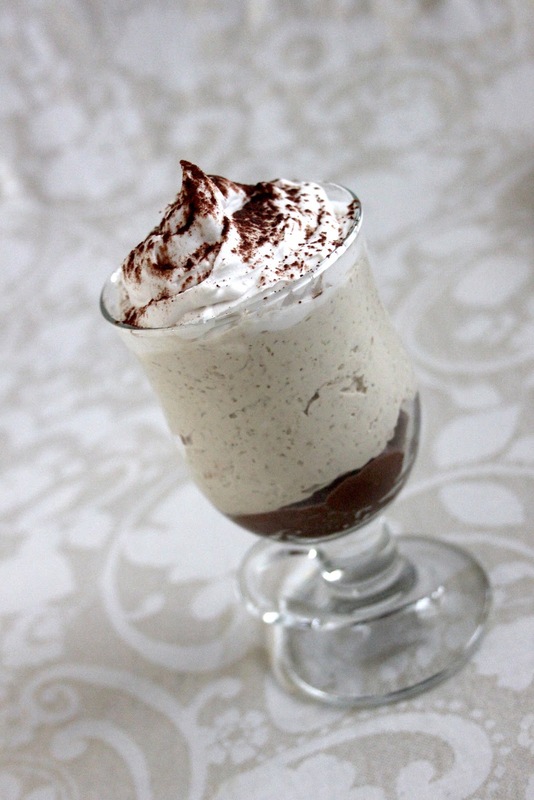 I am loving being (almost) vegan-tiramisu is my favourite-love your exuberance! Just checking…as I can’t find Bourbon biscuits anywhere in my area (BC,Canada). I will need to find a substitute as the recipe looks DEEEEELICIOUS! Are Bourbon biscuits CREAM-FILLED usually, or are they dry cookie-type-biscuits? 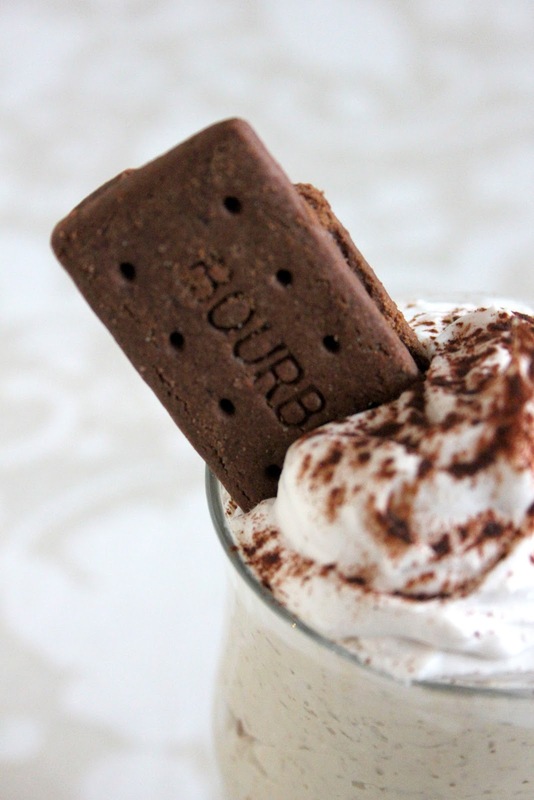 I’ve heard of Bourbon Creams….I’d like to know if I’m better off finding a chocolate cookie WITHOUT a creme filling to soak in the coffee.That way it would be more likely to be VEGAN as well….Has anyone tried this recipe in Canada and found a good cookie/bicuit choice to use instead? thanks! Hiya! Bourbon creams are essentially chocolate Oreos (Im generalising because obviously British biscuits are far more complex and yummy than that). BUT if all you can find is chocolate biscuits/cookies, don’t worry, the difference shouldn’t be major. Maybe just add an extra teaspoon of coffee at most. How much is one shot of Kahlua? Hi! It’s approx. 45ml, or about 1 tbsp under 1/4 cup. I made this as our Christmas dessert and it was a huuuuuuge hit!!! I used a regular sized shot glass to measure out the booze. Also I couldnt find Bourbon cookies and ended up using a package of extremely plain, very dark, crunchy, thin round cookies instead (can’t believe I forgot the brand!!!) Canadians, I bought them at Safeway.they are $4.99/pkg. Good for making creme log type recipes, too!!! Also, I assembled the layers into medium sized martini glasses. Anywsy, thank you Cookie Fairy as this recipe is super easy to make, looks very impressive and is deeeeelishious!!!! I love your on-line recipes, Cookie Fairy. I was on the Amazon site this morning trying to purchase your Vegan Icecream e-book and to my dismay, it is unavailable in Canada! There’s a USA version which I assumed would be fine for me to work from but I can’t even order that! Weird huh? Is it a distribution thing? I am sure there are loads of Canadian vegans who’d love to buy your book too! What am I to do? Any ideas? Thanks! My ebooks (in English) are also available through Amazon’s lending programme, Kindle Unlimited. Yes, all your books show up on the Amazon.ca site, with beautiful colour covers, no prices listed at all because as it says under all of the individual books,”this title is unavailable in your Country”. Just thought you should know. Wah!! !